His work has been selected for the following antologies: “The origins of desire”, “Después de la modernidad”, “Pólwysep w wierszach”, “Paraula encesa” and “Las dos hermanas”. He is the author of several essays on international politics, moderantism, Josep Pla, in defense of an imperfect world, the return to the Catholic faith, the future of the monarchy and the moral effects of the crisis of 2008. He writes for El País and from Monday to Friday the column “Banda Plural” in economiadigital.es. 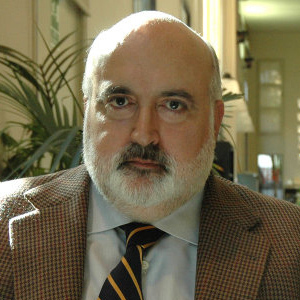 He won the award Antonio Fontán for political journalism in 2012. He founded and directs “Futuro Estratégico,” a consultancy for political analysis and opinion. He has participated in the majority of programs on political current events on television and radio. He currently resides in Barcelona. He is married to the photographer Montserrat Garriga. He is a member of the Consell de la Cultura i les Arts de Catalunya and the Board of the Instituto Cervantes.